Electricity board provide electric supply up to a point out side the consumer premises. From this point consumer take the connection to main board. Insulated electrical wires will be taken out to various places in the premises to supply power to different type of loads like lights, fans, refrigerator and other home appliances. 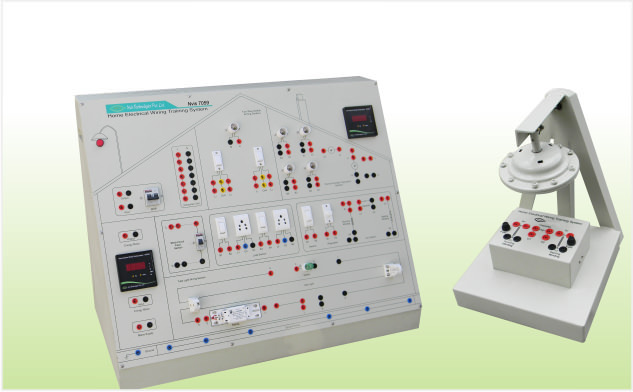 Electrical devices are designed to work within a range of power. MCB automatically switches off the electrical circuit during abnormal condition of the network means in over load condition as well as faulty condition. As the MCB operating knob comes at its off position during tripping, the faulty zone of the electrical circuit can easily be identified. Electricity meters measure and display power consumption. Bulbs in parallel are equally bright because they are connected across the same voltage. Home wiring system has seperate loops so each appliciences operate without affecting the others. Connection of energy meter, MCB and consumer unit (CU). Tube light, choke and starter wiring. Two-Way and Three-Way switch wiring and its operation. Fan with switch and regulator. 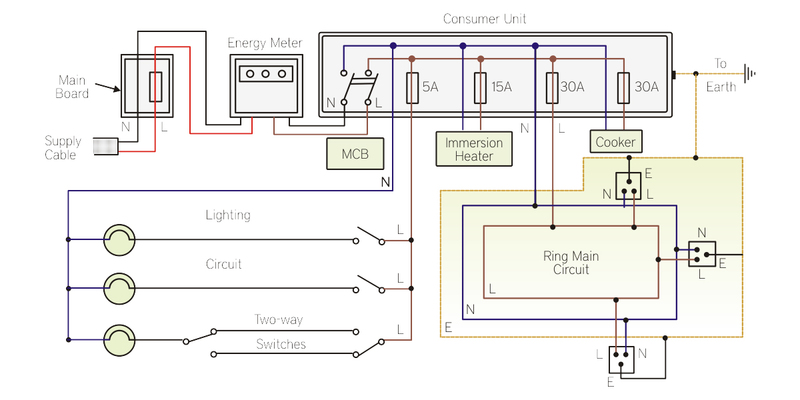 To study and verify the behavior of current and voltage in parallel circuit.